4 Whom Is This Product Designed for? 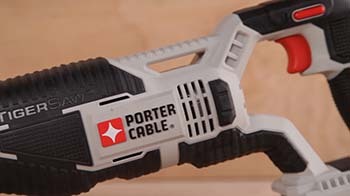 Porter cable is a renowned brand that manufactures quality construction tools that offer high-quality service. 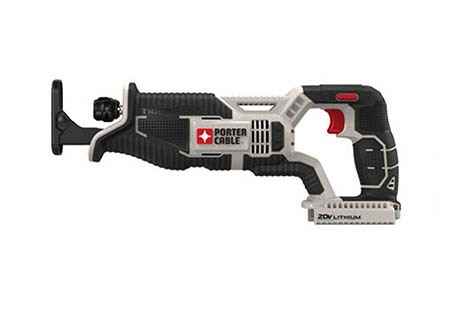 PORTER CABLE PCC670B 20-volt MAX Lithium Bare Reciprocating Tiger saw is another product from this company that will help you to complete all your cutting jobs easily. This is a very versatile saw on the market. It is also a great tool to use in tight spaces. This tool is lightweight and comes in a compatible size helping you to perform your task effectively. If you are looking for a best reciprocating saw to use in small places where your full length-reciprocating saw can’t reach, this is the perfect tool for you. Here are the most important features that come with this saw. 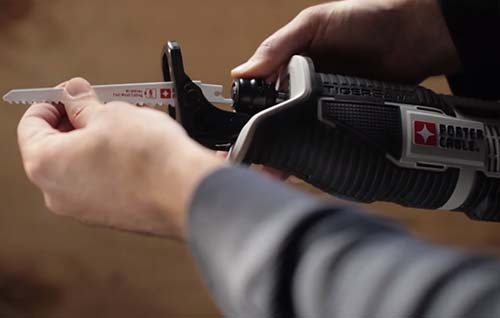 You do not need to have special tools to change the blade or when adjusting the shoe. The product tool free blade release feature will allow you to change the blade easily within a very short time. When changing the blade all you need to do is to twist and insert the blade into the pivoting shoe. This pivoting shoe is made in such a way it holds the blade securely and keeps it in contact with the material the blade is cutting. The twist and insert feature will save you a lot of time and energy and increase the overall quality of work done. These are the main feature that makes porter cable pcc670b reciprocating saw stand out. It comes with a one-inch stroke that lets you perform your cutting easily. The tool compact design of about fourteen and a half inch in length allow the saw to reach tight spaces where other bigger reciprocating saws do not. The tool is also lightweight allowing you to use it for an extended period without getting tired. Its weight of only 1.7 kg is perfect for a person who needs a tool to use to do various cutting jobs that take the time to complete. All in all the ergonomics of this saw are comfortable, intuitive, and easy to use. This PCC670 model features a very powerful motor that has a variable speed trigger control from 0 t0 3000 strokes per minute. With this tool, it is easy to adjust the speed of your blade to a slower speed for you to cut soft materials such as plastic pipes and increase the speed to a maximum of 3000 SPM when cutting dense materials. The motor housing of this porter cable pcc670b saw are made of metal and comes with a contoured handle that that provide good control of this tool. The metal housing protects the motor from being damaged by particles that come from the blade as well as protecting it from dust. Some reciprocating saws come with a plastic handle that makes the user get tired quickly while using the tool. This tool is lightweight and comes with a contoured over molded handle for superior comfort that allows you to use it for a long period without getting tired. This porter cable pcc670b reciprocating saw comes with a 20V lithium battery that provides a longer run time. The battery has a lower self-discharge than a normal battery, thus enabling you to get a constant power supply. The tool also comes with quality connectors that ensure that there are no power disruptions. Another feature that is of quality is the product charger. The charger has the ability to charge the battery with a maximum charge within 20 minutes. The charger also has the ability to monitor the amount of voltage and current it is sent to the battery and monitor the temperature of your battery. The charge has an inbuilt fan that regulates the temperature of the battery extending its life. The tool 180 degrees arch features and buttons that are used for actuating the front rotation are made of steel. These buttons also have a solid feel and are placed into ridges with rubber over-molding that makes them a little hard to push. This will prevent you from accidentally pressing the buttons while still using the tool. 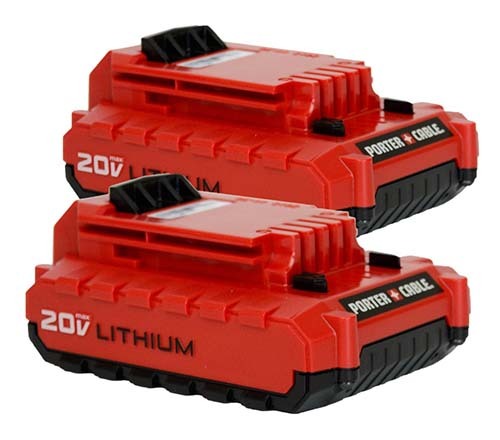 The lithium ion battery is a perfect for this saw as compared to other batteries on the market. However, it drains faster if you use the blade at its maximum speed. It is wise to use the variable speed feature that comes with this tool and use the appropriate speed when cutting the various materials. For instance, you can adjust the speed of your saw to a slower rate when cutting soft material for the battery to last for long. 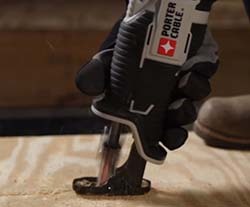 All in all, even if your battery drains faster when cutting tough materials it charges faster, allowing you to continue with your task after a couple of minutes. Question: Is kick-back a problem when using this porter cable pcc670b saw? Answer: Not much if any keep the shoe tight to his work. Question: Can you use other brand name blades with this saw? Answer: yes all Sawzall blades fit. they are a universal fit for all blades and brand saws. Question: Does this come with a battery and blade and charger? Answer: No, just the tool and 1 blade. porter cable pcc670b 20-volt MAX Lithium Bare Reciprocating Tigersaw is a great primary reciprocating saw that will help you to perform your work easily and within a short period. 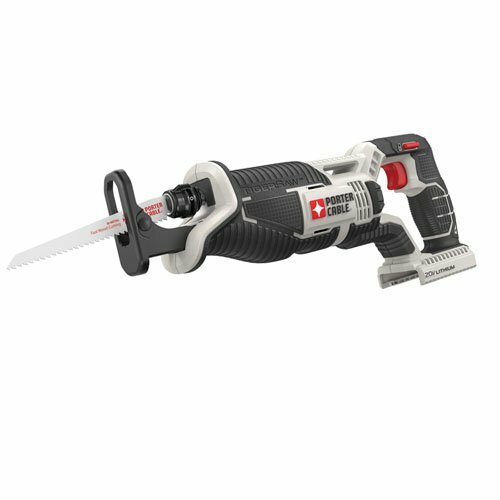 From the products feature, we can conveniently say that it is a great compact model as compared to other corded saws. It is a perfect saw for you that comes with an ergonomic design and a compatible size that allows to cut unlimited space areas. Discount Link – Buy PORTER CABLE PCC670B 20-volt MAX Lithium Bare Reciprocating Tigersaw On Amazon, Now!